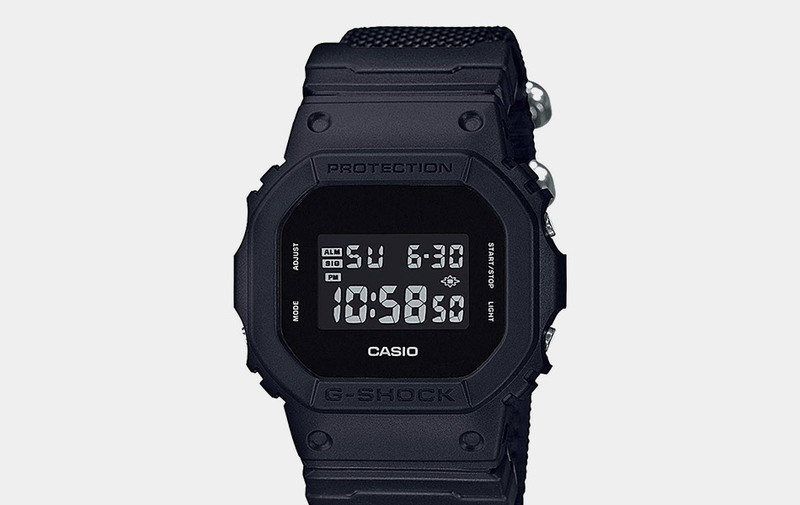 The G-Shock Military Black Series with Cordura Nylon Band includes the DW-5600BBN-1JF, DW-6900BBN-1JF, and GA-100BBN-1AJF. These watches feature a dark military-inspired design with blacked-out faces and reverse LCD displays. They look nice and stealthy. Each has a tactical nylon band made from Cordura fabric for extra strength and durability, along with stainless steel hole rings and keepers. Great for harsh outdoor environments, military or extreme sports. These watches not only look great, but they also perform great in the outdoors. This is the only G-Shock you'll ever need, although you will always want more.